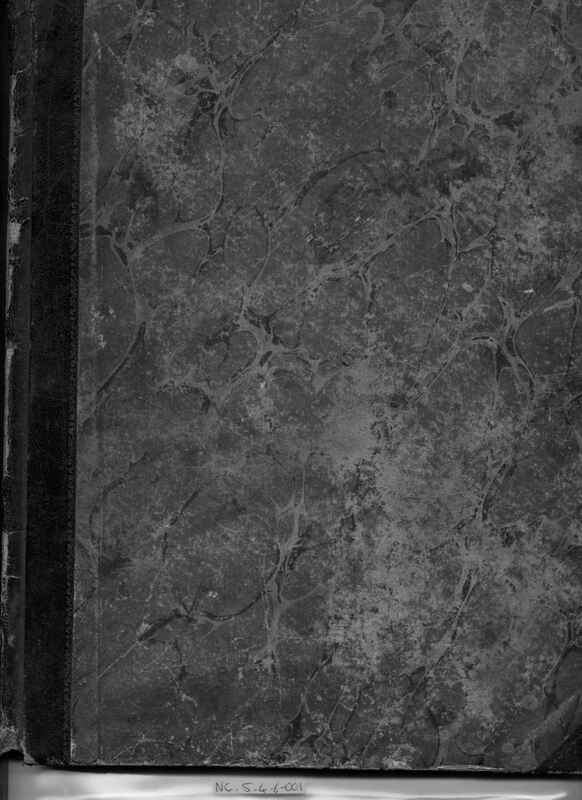 Full Description: A rare hard-bound first edition of “Instructions for the double concertina by Joseph Warren”, published in “London, Messrs Wheatstone & Co, 20 Conduit Strt. Regent Strt., Price 7/6”. 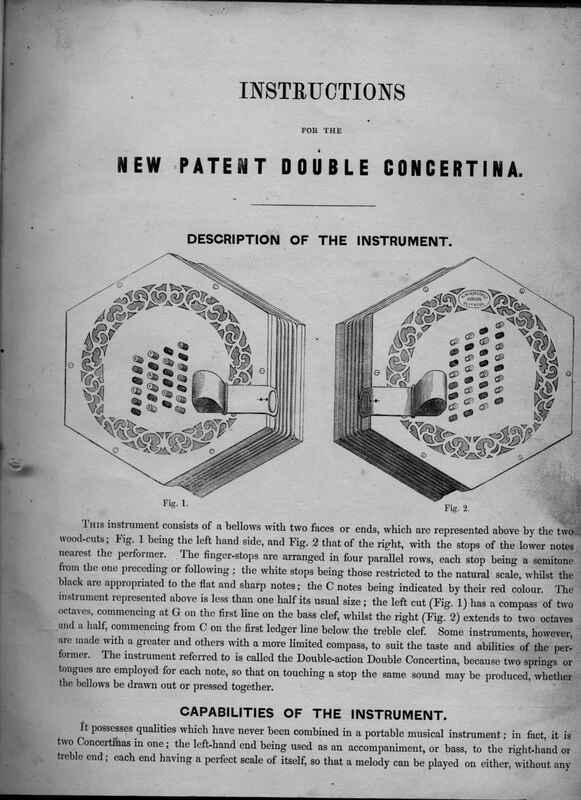 The ‘Double’ concertina was introduced by Wheatstone’s Conduit Street manufactory from about 1845. 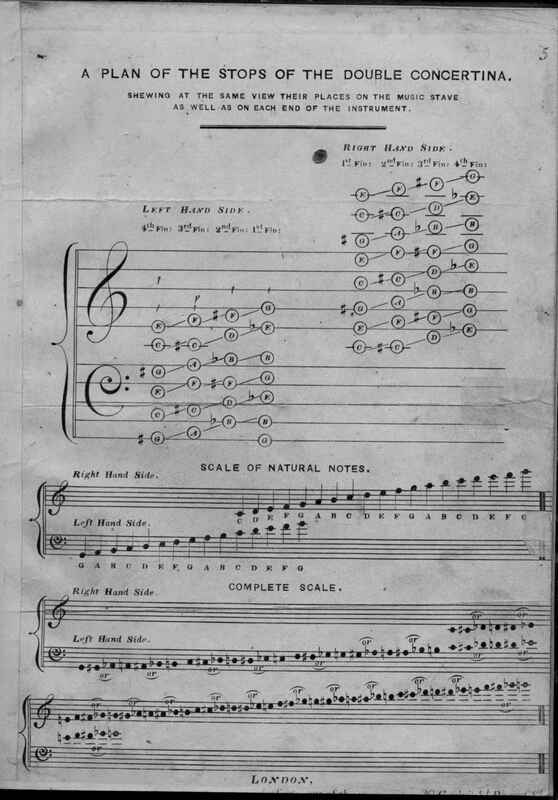 A good summary of its history appears together with details of Robert Gaskins’ Double No 23 appears here [http://www.concertina.com/double/wheatstone-double-no-23/index.htm] The Collection has an early 66-key double concertina as Item C.100 , [http://www.concertinamuseum.com/CM00100.htm] which was acquired together with the ‘Double’ Tutor described here. The Tutor may be incomplete, since it contains but the first 6 pages and page 25, bound together with several pages of manuscript religious music, and blank pages with prints of instruments applied to them. A complete edition may be studied here . 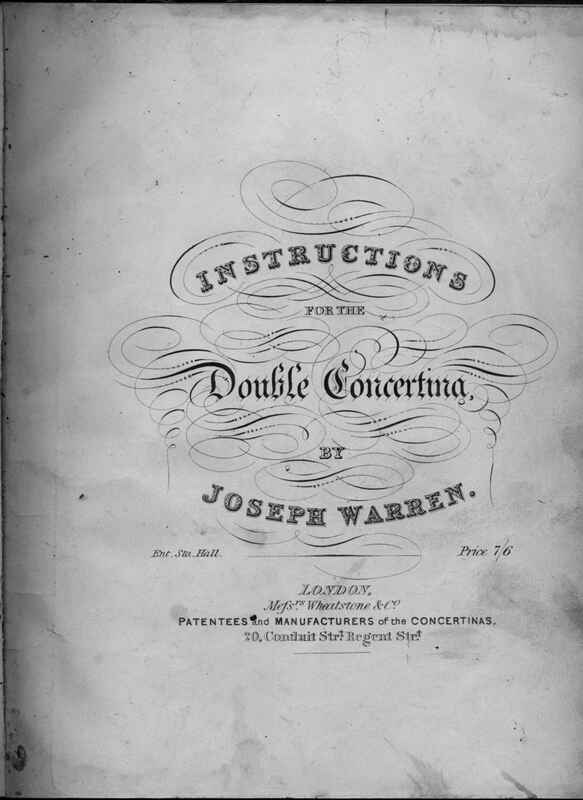 [http://www.concertina.com/double/index.htm#warren-double-wheatstone-tutor]. 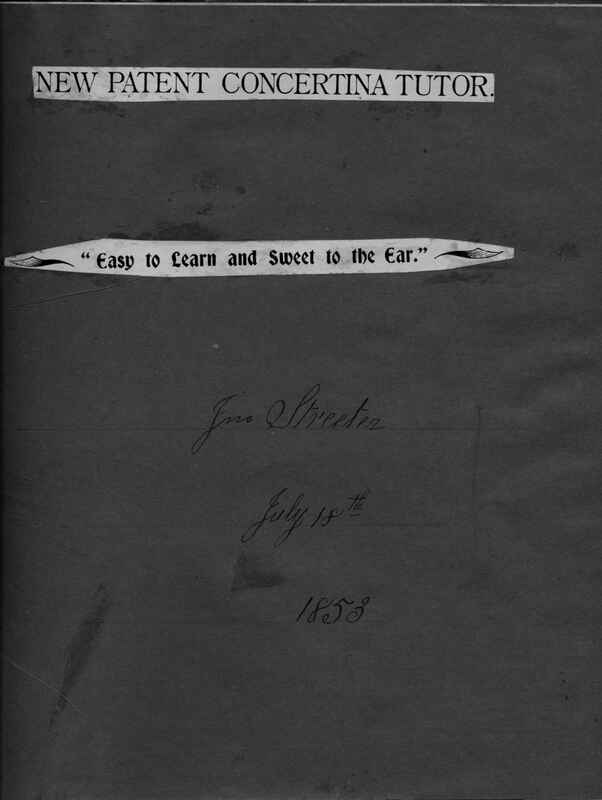 The tutor is signed by its Owner “Jno Streeter July 18th 1853”. A facsimile copy of C Wheatstone’s two-page introductory document about his new invention is Item NC.5.4.6-002 [http://www.concertinamuseum.com/NC50406-002.htm] in the Collection.